KPMG first established a presence in Malaysia in 1928 and has grown to be a part of the global success of KPMG's international network of member firms. With a nationwide team comprising over 2,200 staff across eight offices, we work shoulder-to-shoulder with our clients to integrate innovative approaches and deep expertise to deliver real results. We provide professional services in Audit, Tax, and Advisory across a wide range of industries, government, and not-for-profit sectors. Our focus on industry and country-specific knowledge helps us deliver exceptional people with an intimate knowledge of our client's specific business issues, deep industry expertise as well as an overriding commitment towards service excellence. Beyond our clients, we contribute in voluntary and honorary capacities to improve the communities in which we live and operate. We value diversity and inclusion, fostering a positive and encouraging culture. As a result, we attract passionate individuals who share a common purpose to 'Inspire Confidence and Empower Change' for our clients and the communities in which we live and work. 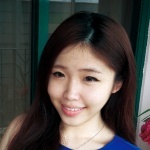 Sia Chin Hoe studied Accounting and then completed Bachelor of Science (First Class Honours) in Accounting at Oxford Brooke University. Mabel Koh studied Accounting & Finance in Arts and then completed Bachelor of Arts (Hons) Accounting & Finance at University of the West of England (UWE Bristol). 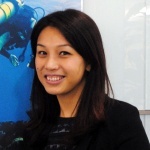 Audrey Chin studied Business in Economic & Finance and then completed Bachelor of Business (Economic and Finance) at Royal Melbourne Institute of Technology, Melbourne. How To Get Hired In Consulting As A Fresh Graduate? 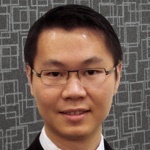 Alvin Gan, Executive Director of IT Advisory of KPMG in Malaysia, shares the top five most valuable skills that a fresh graduate need for a career in the consulting sector.